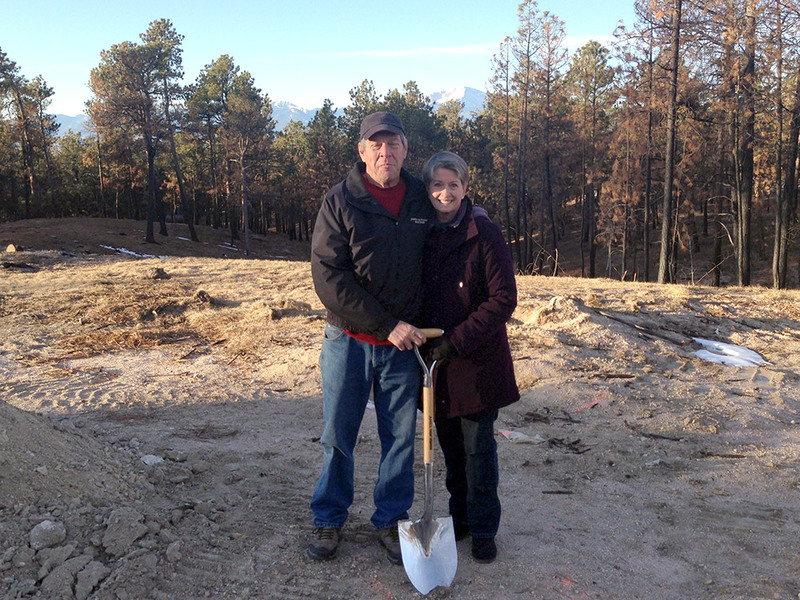 On Thursday morning we broke ground on our second Black Forest fire rebuild, on Darr Drive on the south west end of Black Forest in Colorado Springs. Ray and Cindy Miller (who were recently profiled in the LA Times and the Denver Post). The Millers lost just about everything in the Black Forest fire, and we’re very happy to help them get back home as soon as possible.